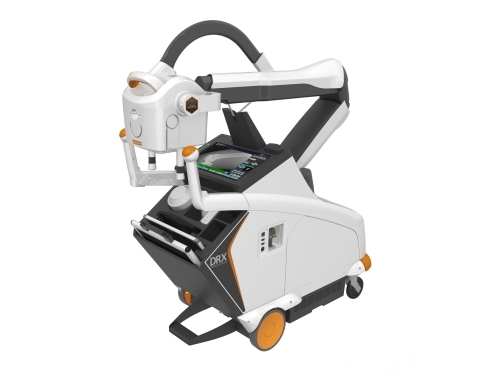 ROCHESTER, N.Y.--(BUSINESS WIRE)--Carestream Health is taking orders for its new CARESTREAM DRX-Revolution Nano Mobile X-ray System (see video link) in the United States and will be issuing budgetary quotes for healthcare providers in European Union countries as the company completes the CE marking requirements. Carestream also has applied for a Health Canada License. This new portable X-ray system uses Carbon Nano Tube technology to deliver significantly reduced size and weight when compared to existing mobile X-ray systems. It is scheduled for availability in the United States, Canada and Europe in the second quarter of 2018. It will be available in other countries as international regulatory approvals are completed. 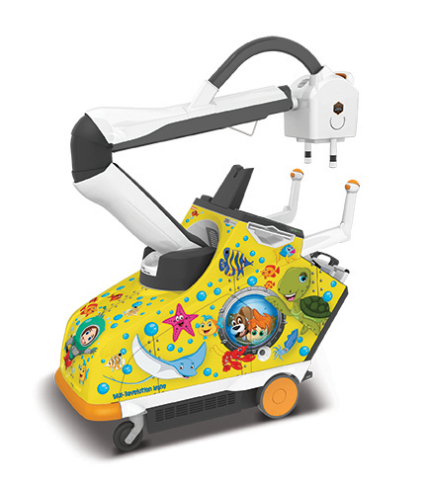 The DRX-Revolution Nano Mobile X-ray system is a lighter weight, non-motorized system that is easy to maneuver and position for patient imaging. It complements the Carestream DRX-Revolution Mobile X-ray System, which is designed to capture inpatient, outpatient and ER exams at facilities of all sizes. A choice of Carestream wireless detectors including CARESTREAM DRX-1, DRX Core, DRX Plus and DRX 2530C detectors in several sizes. Carestream offers a comprehensive portfolio of mobile and room-based imaging systems to address the diverse needs and budgets of healthcare providers. The company established a reputation for innovation with its wireless DRX detectors that have dramatically improved radiology workflows. Carestream is a worldwide provider of medical imaging systems and IT solutions; X-ray imaging systems for non-destructive testing; and precision contract coating services for a wide range of industrial, medical, electronic and other applications—all backed by a global service and support network. For more information about the company’s broad portfolio of products, solutions and services, please contact your Carestream representative or call 888-777-2072 or visit www.carestream.com. To view Carestream’s latest news announcements, please visit www.carestream.com/news. Carestream is taking orders for its new DRX-Revolution Nano Mobile X-ray System in the U.S. It is scheduled for availability in Q2 of 2018.